We search the murky back waters of youtube to find full concerts and post them to the site weekly, come back every seven days to help us celebrate Full Show Friday's. 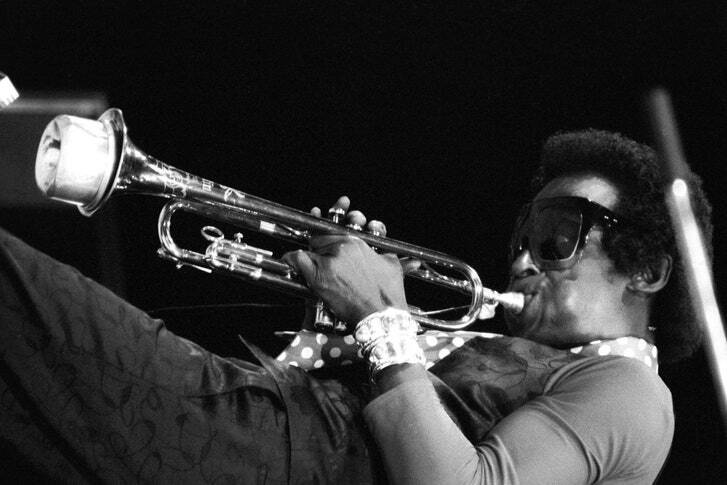 These shows are of varying quality and may not be here for long so enjoy them while you can...As always, please support the artist every which way, but especially by seeing them live (if they are still playing)...This week...Miles Davis! Continuing RtBE's Masters series this month we dig into a Full Show Friday from our favorite era of Davis, (and break our new jazz pledge again) his mid seventies live electrical phase. The concert from Vienna Stadthalle in 1973 may not be as powerful of some of the live albums we highlighted earlier this month, but it bright and cleanly shows a group of musicians getting after it with Davis.